When I was 9, I swam constantly. At night, I dreamt about the smell of chlorine. My goal was to be an Olympic swimmer. I romanticized the Olympics like I grew up romanticizing a visit to the Nile River. Exotic, far off, a lifetime accomplishment. There were many reasons I didn’t make it to the Olympics, my poor swimming skill and dislike for competitive sports being the top. My Olympic fever continued to burn though. 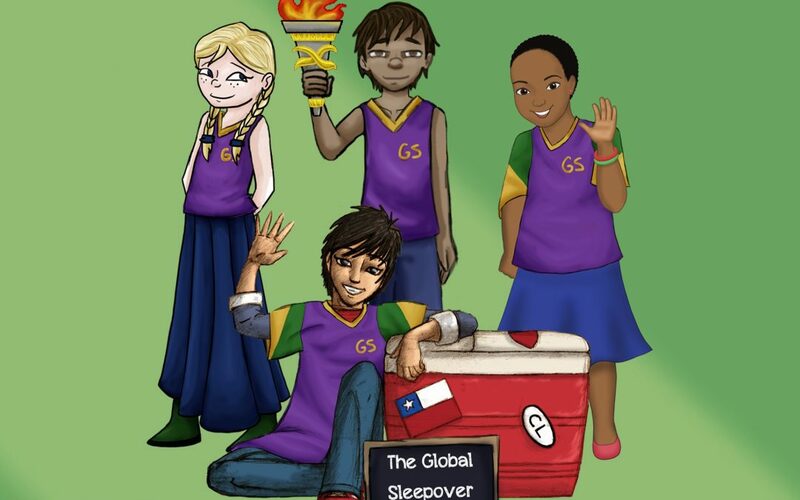 When I started The Global Sleepover in 2009 and began teaching kids about world cultures through storytelling and arts, I came to recognize the Olympics for the truly global event it is. This year the Olympics and Paralympics will be held in Rio de Janeiro, Brazil from August 5-21. 206 countries will be participating in the Olympics. There will be more countries participating in the Olympics than there are Member States of the UN. (The UN is comprised of 193 countries that are Member States and 2 countries that are Non-Member Observing States). The diversity, history and multi-cultural camaraderie represented at the Olympics by far eclipses any other world event. More remarkably, for the first time ever, the International Olympic Committee created a team of Refugee Olympic Athletes. Team Refugee Olympic Athletes (ROA), the official team name, will consist of 10 refugees who have fled their countries. Team ROA will march behind the Olympic flag before host team Brazil during the Opening Ceremonies. Sports are a universal equalizer and, as Team Refugee Olympic Athletes is demonstrating, can break down borders and walls. Mention to any kid how soccer is a national sport of Brazil and that child will go wild. 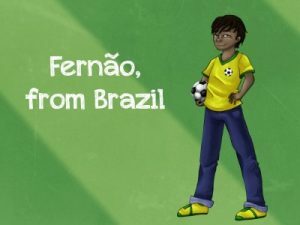 Kids relate to sports, they use sports as a portal by which to learn about other cultural aspects of countries. As I am constantly on the lookout for ways to teach kids about the world, I have tested this idea with the 2,000 children we work with at Global Sleepover. How do kids best learn about culture? 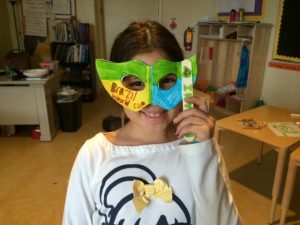 Food, dance, music and arts engages kids – they can easily relate to other cultures through these prisms. But mention sports and there’s no comparison. Sports are a tool for cultural diplomacy and inter-ethnic reconciliation. International development programs and reconciliation efforts globally use sports as a way to bridge communities. Build a soccer field or a sports center and watch neighbors who haven’t spoken for decades come together. On hot summer nights in South Chicago, Hoops in the Hood closes streets to traffic once a week for basketball tournaments bringing children from warring gangs together with basketball. They use basketball to heal old divisions, break down boundary barriers and take back the streets. When I read that 206 countries will be participating in the Olympics this year, I sat down to visualize 206 countries. I’ve worked and lived in the two newest countries in the world (South Sudan and Kosovo) so I first checked to see if they will be participating. For the first time, South Sudan and Kosovo are participating in the Olympics. That made me happy. As I scanned through the names, I tried to see how many country names I recognized and how much (or little) I knew about these countries. There’s nothing like trying to visualize 206 countries, cultures, languages to make you realize what a global world we are. Here are some of the countries participating if you want to give this visualization activity a try: Albania, Cameroon, Burundi, Cook Islands, El Salvador, Eritrea, Fiji, Gabon, Ghana, Iceland, Iraq, Jamaica, Kazakhstan, Kenya, Lesotho, Lithuania, Luxembourg, Mauritius, Morocco, Mozambique, Myanmar, Papua New Guinea, Portugal, Qatar, Russia, Saint Lucia, Samoa, South Africa, Sweden, Chinese Taipei, Tonga, Ukraine, Uruguay, Venezuela, Zambia. Take advantage of the excitement children have around the Olympics and Paralympics and help them also see the Olympics from a global prism. It’s an opportunity to teach kids about the world. Who are the athletes that are winning the medals and who are the ones who aren’t? Where are they from? Children can recognize them for their athletic abilities and for their individual story. What is their story, where are they from, what is their home like? How did they come to participate in the Olympics and Paralympics – arguably the world’s most global event – with 206 countries and 10,500 athletes? Games and activities for your child to play during the Olympics. Best suited for ages 4-8. Global Sleepover Olympics Kit Groupon Deal: For a limited time, we’re offering a Groupon deal for a Global Sleepover Olympics Kit. Everything a child needs to learn about the world during the Olympics. Comes with an Olympics drawstring sports bag, World Map to track athletes and sports, medal and an Activity Book. Have children choose 3 athletes. They can research these athletes. Where are they from, where do they live? What is their story? After researching, have kids write a two paragraph fiction story with their athlete as the main character. Arts and Crafts: Challenge your kids to create an Olympics Country Banner with flags from all 206 countries. Can they look up the flags of 206 countries during the Olympics? Have them cut 8 ½ x 11 sheets in half. Draw one flag on each sheet of paper and write the country name on the back. As they go, have them staple the flags next to each other to create a banner. How big is a banner with 206 flags?